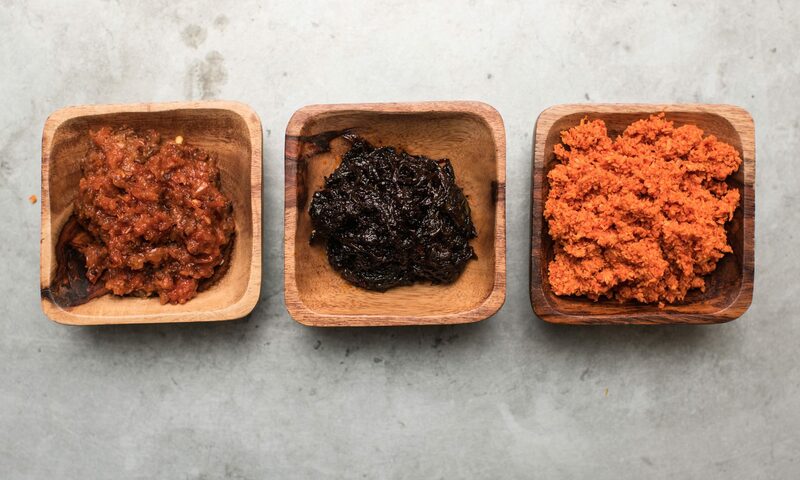 One of the main characteristics of Sri Lankan cooking is that the spices are dark roasted. You cannot simply substitute yellow curry powder! If your local Indian grocery store carries Jaffna Curry Powder, that’s from northern Sri Lanka and an excellent option; it can also be bought on this site (but only shipping within the U.S.). Or you can always make your own; home cooks will generally have their own variations! 2. Put into blender container (I use a coffee grinder that is dedicated solely to spice grinding) together with cinnamon stick broken in pieces, the cloves, cardamom and curry leaves. 3. Blend at high speed until finely powdered. Sieve into a bowl, discarding any large pieces, and combine with chili powder; stir well. Store in airtight jar.